Dental treatments using penthrox explained by dentists at Ballarat Dental Care: Penthrox method of sedation with dentists Ballarat is done by using a hand held device used for dental treatment to provide pain and anxiety relief. This is self controlled by the patients during their dental treatments procedures. Penthrox has been used in Australia by the dentists in their dental clinics for more than thirty years and is commonly used in ambulances for immediate pain relief. 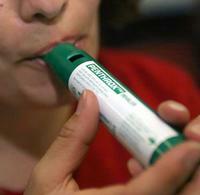 Penthrox when inhaled provides strong pain relief and decreases the anxiety level. The patient is in control of the penthrox device, therefore feeling more comfortable. Penthrox is safe and can be used in most situations for your dental treatments. If you need of any dental treatment done at Ballarat by using penthrox, please call our Ballarat Dental Care in Ballarat to book your dental consultation and speak to our qualified dentist at Ballarat using penthrox for dental treatments in Ballarat.